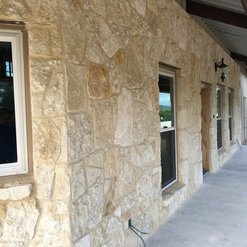 At Broadshield we pride ourselves in being a Texas green builder and experts in rural construction. 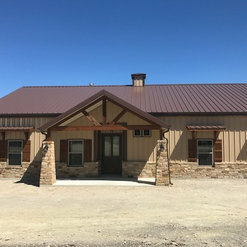 We offer construction solutions for clients that are interested in Custom Homes, Metal Buildings, Horse Ranches, Barndominiums, and Insurance Reconstruction. 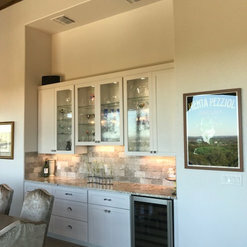 Based in Boerne, Texas, Broadshield prides itself in being knowledgeable of local building requirements and the techniques necessary for building in the terrain of the Texas Hill Country. Broadshield will take you through the process of custom designing and planning your construction endeavor. Whatever your rural construction project requires, allow over 30 years in the construction industry help you. 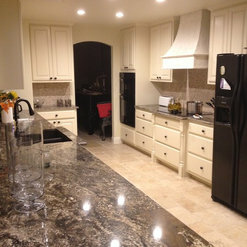 Thanks for visiting our Houzz profile and we look forward to earning your business. Each Broadshield team member Kevin, Eric, John and Janet were a blessing to work with. We worked with them from home plans to finished project. Building a home is an overwhelming task and issues always arise. Broadshield responded promptly and professionally each time. Our wants, needs and problems were heard and solved each step of the way. We not only highly recommend Broadshield, but we will continue to use Broadshield for our future projects. As first time purchasers of a "custom home build"...I have to say...this whole experience has been enlightening and wonderful from beginning to end. 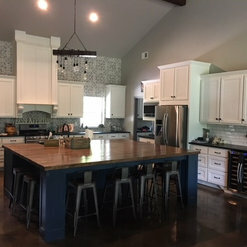 BroadShieldCustomHomes has an excellent reputation for providing quality service and craftsmanship and they surpassed our expectations. Kevin LeStourgeon, our builder, is an exceptional businessman, who gave us his expert guidance every step of the way from beginning to end. 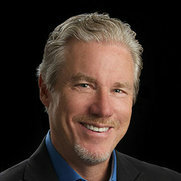 Eric Copeland, superintendent of our custom home build was professional, pleasant and easy to work with, listening to us and delivering our wants and needs for our "forever" home. 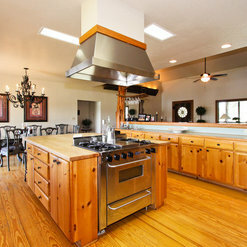 Our barndominium custom home is warm, inviting and far more than we envisioned. I'd highly recommend BroadShield Custom Homes for your custom home build! 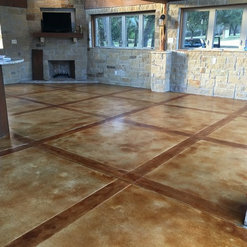 These Kerrville, Texas customers were a dream to deal with. Their patience with the custom home process and dedication to "get things done timely" were a big plus. I certainly pray for more customer like these in the future. We were very satisfied with the work Broadshield did with our home. From the beginning we were comfortable working with Kevin and his team. It was really neat to see our designs on paper come to life! 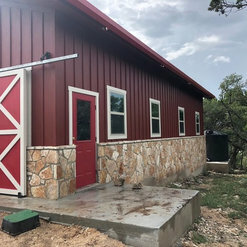 I would definitely recommend this company to others looking to build a barndominium! Thank you Deb for your kind remarks. Honestly, there has not been a nicer more genuine couple to work with than Sam & Deb. It was such a pleasure to work with the two of you and to help make your dreams come true. Broadshield was recommended to us by a business associate as they knew Kevin built barndominiums. 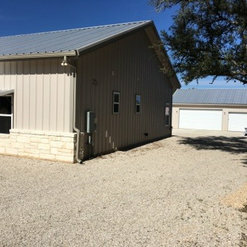 It took 10 months to build our barndo home with a shop and while it seemed like it took forever, it was worth the wait! It’s a quality build and they worked with us on trying to make sure they built it to our specifications, down to the last detail, even installing our roster weathervane exactly where we wanted it placed. This was our first custom build and boy was that a learning experience! We recommend you read and reread your contract several times and even if you think something is included because you talked about it, don’t assume, but make sure it’s in writing so your don’t have to worry about change orders that can add up. Also be mindful of your allowances upfront. We love our barndo and living out in the country and would recommend Broadshield, but with any custom build, you will need to have patience and be flexible and communicate frequently with the team. 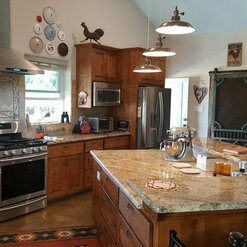 Barndos are the way to go for country living! Ted and Stephanie designed a really nice home. You can see that by the pictures presented; the colors and amenities work well together. You do take on a lot when you build a custom homes. Just about every decision that goes on within the build is made by the customers; lots to get done. It was an honor to build for them. Kevin was great to work with throughout the process of our home build. After sitting down with down with Kevin and his designer, the floor plan turned out exactly how I wanted. The designer even thought of things I hadn't. There were a few changes along the way as the project moved forward, but when there was, Kevin made the changes easy for us. We absolutely love the final results of our barndominium and is just what we had hoped for. Fidel is a trusted part of our design and construction team. I often affectionately refer to him as an "artist". His work depicts that. My wife and I were ready to move forward with our dream of building our home in Texas Hill Country. After speaking with multiple builders we decided to go with Kevin LeStourgeon of Broadshield Custom Homes because of his integrity and honesty. From the first day we were ecstatic with Kevin and his crew. We are treated with respect, Kevin and his staff have helped us in every step of the process, they are always available to answer our questions, and they are in constant communication with us as are home build progress. To date I have already recommended Broadshield to friends and family interested in building themselves, and we would like to thank Kevin for helping us make our dreams come true. Thank you Brian and Valerie. It has been a pleasure working with you to bring your project to fruition. You have designed a beautiful homesite maximizing the views of your beautiful property. We found Broadshield and Kevin online with a google search. Being a little skeptical, as this was our first time building a house, scheduled a meeting. The process since has been great! Kevin has been there each step of the way and has made building our home a fairly easy process. The product being delivered is so much better than my wife and I thought we could afford, the quality and attention to detail are evident through each step of the process. The thing that I appreciate the most about Kevin is, there have been no surprises. We are so thankful that we found him. I have and will continue to recommend him to my friends and family. I think it is unusual to find someone who I feel invests in your dreams and works as hard as Kevin does to literally make it a reality. Thank you Mr. Walker for your kind review. Yes, we strive to make the highly complicated process of building a custom home tolerable; if not enjoyable. Our team of Superintendents all the way to our Admin staff work hard to make "enjoyable" a reality. And by the way, working with folks like you and your wife make what we do that much more satisfying . Thank you again! This is a long review. But read along, I make a point at the end. We recently (2017) used Broadshield to build our 2900 square foot custom home/barndominium. From the start, we used his recommendation on an architect who designed a custom floor plan for us. From there, Braodshield did a take off and provided an estimated cost to build the home start to finish. The contract we signed was relatively easy to follow and understand with clear points on what Broadshield will do and not do. A typical builder contract (from what we've been told) with an estimated completion in 4-6 months. We started our home in July of 2016, and moved in July of 2017. The home took just about a year to complete. To be expected, there were several delays in building the home, but more frustrating delays than not. During the process we were made aware of the metal company (building the shell of the house) was injured prior to starting our house and BS had to quickly contract another company to start the home. The company BS hired was terrible, they were very slow and hardly ever showed up to the job (hints the 12 month build time). This went on for the entire process of the build until we spoke to Kevin about finding another company to finish the work. We were projected to close in December, then January, then February, then March, then at the latest the end of April...we moved into our new home in July. We fully understand the tedious work that takes place at the end of the project and were expecting some delays. But the amount of delays that we incurred were very disappointing. We chose Kevin to build our home because we instantly connected on many levels. We were looking for a small town builder, with Christian values, and hard work ethic. We found that in Kevin immediately. Unfortunately, the quality of many of the subs were sub-par during the process. We never went a full 5 days (work week) of people on the job. We would see some on Monday, then nothing the next day, then some on Wednesday, come and go when ever. We suppose if a manager or supervisor was on the job daily, many mistakes could have been avoided and the project time would have been substantially decreased. We did build a completely custom home start to finish. 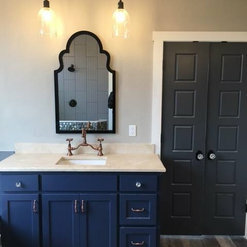 Nothing was standard about our home and we now realize that many of the subs were not accustomed to detailed work and could not handle the add ons and amount of detail in the home. As Kevin stated at one point, "you get what you pay for" meaning, we built a bardominium which is much lower of a cost than a stick frame house. The vendors he has are less expensive and therefor work slower with less crew? Never really understood that conversation fully, as it was just Broadshields way of buying more time to finish? If we were to build another custom home, we would do it. This process didn't ruin us too bad. We learned a lot of what to expect from contractors, and more importantly , what not to expect from contractors! A lot of times, we were kicking and screaming so loud for this to be over, we ended up with people at the house doing things that really didn't pertain to them, but it was a way to get things done. We have been in the house for 2 months now. We can say with out a doubt, the quality of the home is great. We have had NO issues that were not or could not be resolved right away. Our front door was custom built by the same person who did the cabinets and trim. It is a beautiful front door, it has not closed properly since install, and still doesn't close unless you deadbolt it. It is on their list of things to get around to and I have confidence it will get fixed soon. Everything we asked of Kevin he did. When we had questions or comments or needed to scream, he listened. When we made last minute changes, he made them and went out of his way to make it work or comply with our requests. His prices are fair. He is in the business to make money, and we know money was made at some point, but we never felt like we were being "ripped off" or gouged. Bottom line: Building a home is fun, then it turns into a chore. But it is worth getting exactly what you want. And Kevin provided a home that was exactly what we wanted (and could afford!). I do not think our experience was out of the norm for building a home. I was asked to share my experience for future clients, and can confidently recommend Broadshield as a home builder. Thank you Kristin for taking the time to provide the feedback on Broadshield. Your comments are welcome and appreciated. We at Broadshield accept solely the responsibility and sincerely regret the delays it caused. General Contractors rely heavily on a support system of product suppliers, service providers and individuals to bring a project to fruition. The challenge with firing a non-performing provider is that it is very difficult to get another provider to step in and complete or fix what the previous provider left due to assuming any liability of the work already completed. So firing the problem provider could have caused even more delays than we experienced already; especially if we could not have replaced them all together. Needless to say they are no longer on my approved vendors list. Other possible delays for any project are the “Change Orders” we are asked to provide. These "Change Orders" alter or make changes from that which is already in the specifications or what is shown on the plans. Implementing these change orders, depending on where they arrive in the building process, generally delay the project while we set up what that specific change orders needs in the schedule. I welcome feedback from any client and will utilize these comments to assist and advise future clients in similar scenarios. You and Jeremy were wonderful customers and I appreciate your understanding and patience with the process in building your custom home. 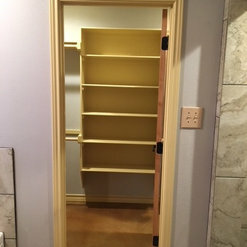 I know we were tardy with completing this project from our original fulfillment date, but to read that a customer is happy and satisfied with the end product- that is the ultimate goal. Compassionate about our dream-come-true Barndominium, the team at Broadshield implemented our personal ideas into their unique steel-structure-design, delivering a home that is stout, efficient, capeable of lasting many lifetimes. Taking us through each step of our project, from the design stage to closing and beyond, we have gained a beautiful home and a friend in Broadshield Custom Homes! Thanks Kevin for all you have done to see our project through! Hello Susie, thank you for your comment. It is so good to read how you feel about your new home. You've designed a winner! We were very pleased with the service we received from Kevin at Broadshield Custom Homes. Although there were some problems, as in ANY build, they were rectified. Very reputable. Would recommend them for YOUR buld. THX to you Gary for your kind words. We do have issues that tend to come up with a project of any size. The complexities of building a home take a substantial effort to keep organized and the work flowing. You were a gem to deal with and you helped so much. We went through four builders before selecting Kevin and Broadshield. My husband and I wanted a Barndominium of our design built on our property. I can honestly say that we made the right choice with Broadshield and we highly recommend Kevin and his team. We have observed the building process closely and know that Broadshield uses quality materials, expert tradesmen and they don’t cut corners. They have been fair, honest, knowledgeable and reliable throughout the project. We are a couple of weeks away from our finished home and very excited to move in and enjoy it. Our home is coming out exactly the way we wanted it. Thank you Broadshield! Becki, you and Bob were just great to deal with. Thank you so much for your positive thoughts and suggestions along the way. I just love the way your home turned out! Thank you. Commented: is this stone a veneer and if so what is the name of the manufacturerWhat you see is an application of crushed limestone and a plastic mix. The craftsman did this by hand over a wood template.